The monthly Ruby Meetup was held on the 2nd Sunday of September last week. 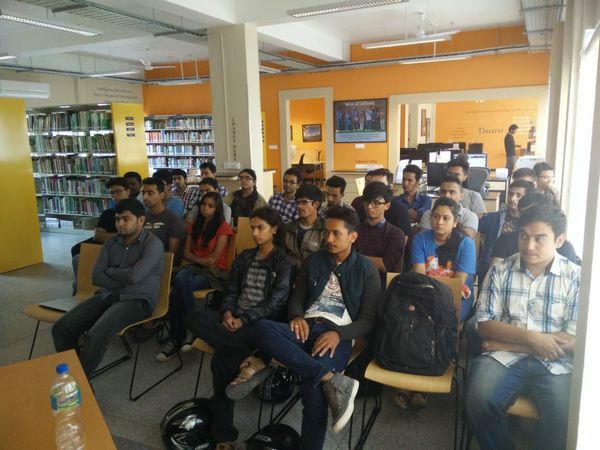 Local ruby enthusiasts came together to quench and moreover arouse appetite for learning. 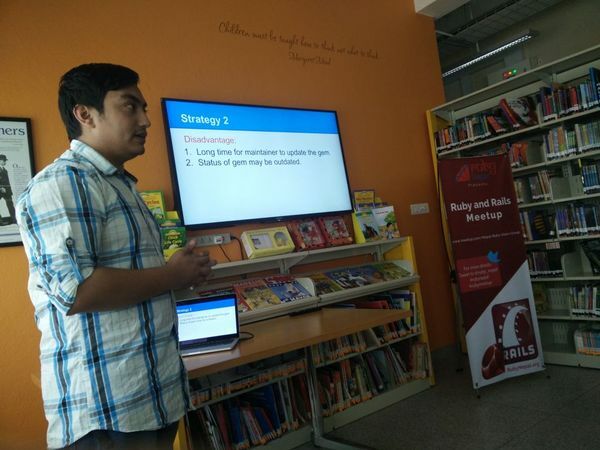 Two presentations were given during the meetup. First was a follow-up of our last meetup on front-end development; Asset Management in Rails by Susan Joshi. 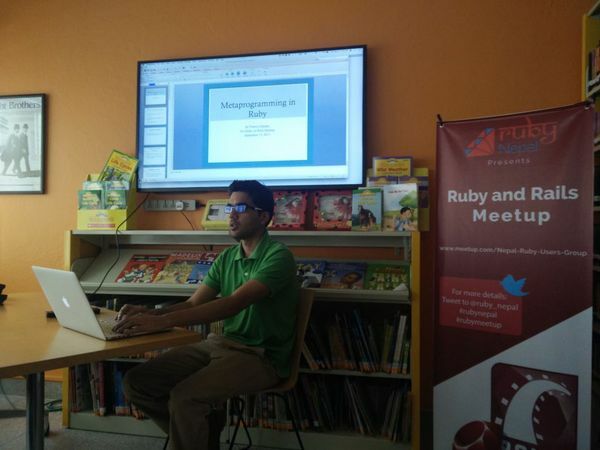 Things got serious when Prasvin Pandey steered ahead to dive into MetaProgramming in Ruby. Gladly no-one dozed off as things got pretty cozy. You can download the slides and example codes from here. A big shout out to our sponsors for the September event. Get in touch if you or your company wants to sponsor and promote the event in future. 1) Innovation Hub Kathmandu for graciously allowing us to use the venue. 2) Leapfrog.Academy who are currently teaching a course on Web Development with Ruby on Rails. 3) Codyssey Web Nepal, a RoR dev shop.